Who Will Make Pippa Middleton’s Wedding Dress? 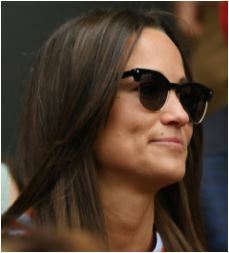 Pippa Middleton appeared to be busy planning her upcoming wedding with James Matthews. The younger sister of Duchess Kate chose Elizabeth Emanuel to design the white dress for her big day. The designer, which she chose, was the one who made the wedding dress of Princess Diana for her marriage to Prince Charles in 1981. According to the designer, she would absolutely love to design the dress for the brunette beauty and she’s going to look stunning in whatever she wear since he got that kind of figure.